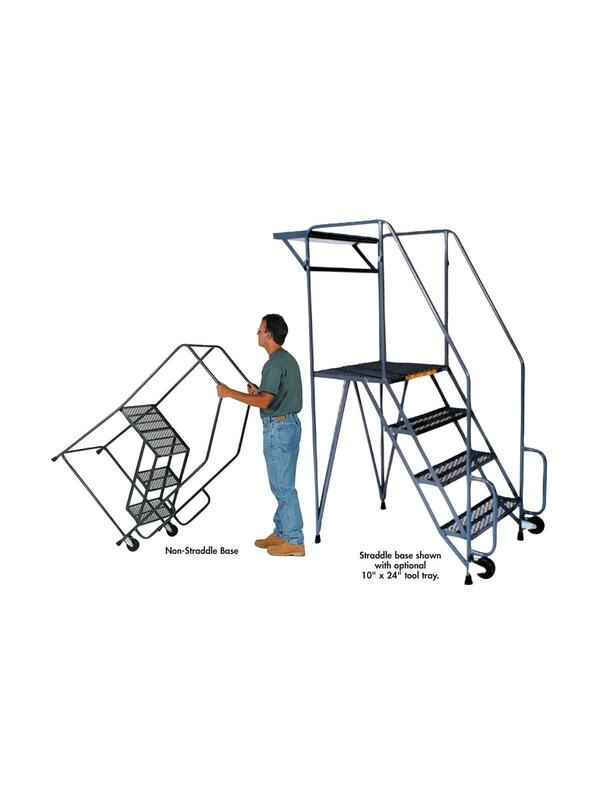 Balanced design allows ladder to tilt easily and roll effortlessly on 2-4" casters. 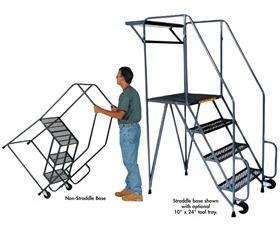 Oversized 20"D x 24"W top step. 450 lbs. capacity. Gray powder coat finish. Expanded Metal (X) tread is standard, or select Serrated Grating (G) or Perforated Step (P). Ships fully assembled. FOB Shipping Point. 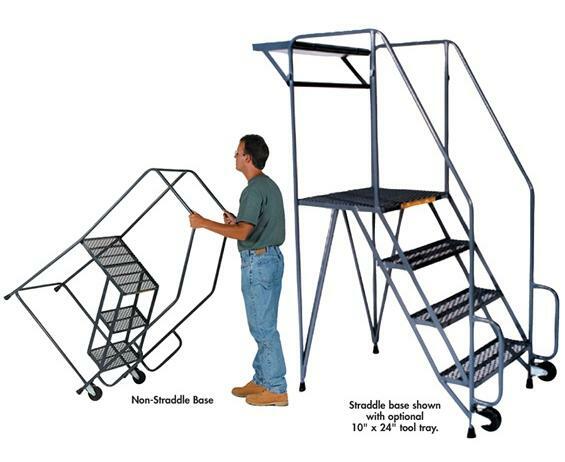 See Related Items tab for Tool Tray for Tilt & Roll Ladders.